Now I know how it feels to be a multi-millionaire even if it is was only for three short days. This is what happened to me and my friend (Karen) when we spent the long weekend last week in Ho Chi Minh, Vietnam. Prior to going out of Tan Son Nhat International Airport and while hauling our suitcases, we searched for a money changer to exchange our pocket moneys to Dong currency. Upon receiving all the paper bills released to us by the counter attendant we did realized that we suddenly became multi-millionaires. I was elated and my lips reached from ear to ear when smiling while counting all the milllions in my hand. 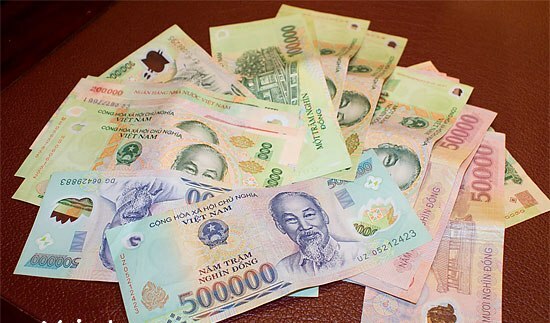 Me and Karen were actually declaring out loud that we were instant millionaires in Vietnam. With feelings of sudden paranoia and elaborate confusion, we couldn’t believe all the zeros indicated on the paper bills in our hands. We could not wait to reach our hotel for we wanted to take photos of the multitude of cash that we have. Prior to hitching a cab to bring us to our hotel, we decided to take a nicotine break. While wasting away our lungs, we were approached by an airport taxi driver offering us his service to drive us to our hotel. My malignantly bloating happiness suddenly halted when the driver told us that the 20-minute taxi ride is worth 100,000 Vietnam Dong. By the way, 1 Pinoy Peso is equivalent to 400 Vietnamese Dong. Hwag ng e-epal. Basta milyonaryo ako nung huling wik-end.